Modified is steeped in love: for a parent, for food, for health and for people. In a film spanning nine years, director Aube Giroux canvasses various citizen led movements across the world who are fighting to label foods made with genetically modified organisms (GMOs). In order to delve into the debate, Aube interviews scientists, and politicians on both sides of the argument. Aube weaves personal narratives about family, gardening, food, health, and loss into her touching and thoughtful film. We learn about her love for gardening, growing vegetables and fruit and making great food, pleasures that she shares with her mother. Modified features interviews with world-renowned primatologist, Jane Goodall, and Canadian anti-GMO activist, Rachel Parent, as well as footage from Bernie Sanders. The film is activism inspired by love and respect for the land. 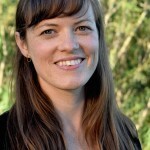 Aube Giroux is a filmmaker, food writer, and award-winning creator of Kitchen Vignettes, a farm-to-table food blog and online cooking series on PBS Food. Her cooking show received the Saveur Magazine Best Food Blog Award in 2012 and is a two-time James Beard Award Nominee. She previously directed two films for the National Film Board of Canada. Modified is her first feature-length documentary. For thirty-one years Camelia Frieberg worked as a film producer, director and writer in Toronto and NS. She was the producer of “The Sweet Hereafter” and “Exotica” with director Atom Egoyan, “The Five Senses” with Jeremy Podeswa, “Masala” with Srinivas Krishna, “Wilby Wonderful” with Daniel MacIvor and many other independent feature films. 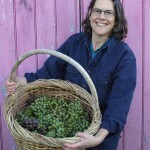 For the past eight years Camelia has been managing Watershed Farm, a mixed livestock, vegetable, flower, herb and fruit farm using biodynamic principles. She has helped convene many workshops, concerts, events and learning opportunities at her farm over the years. She is a board member of USC Canada and proud mother of two children. 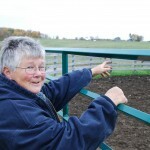 E. Ann Clark joined the farming community near Warkworth, ON at the end of 2010, after more than three decades as a professor at Alberta and Guelph. 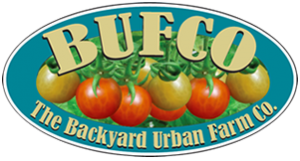 During the growing season, she custom grazes a herd of Red Angus cattle, as well as growing and marketing pastured chickens and turkeys. Her winter months continue to be occupied with academic pursuits, including speaking and publishing on concerns with genetically modified crops.